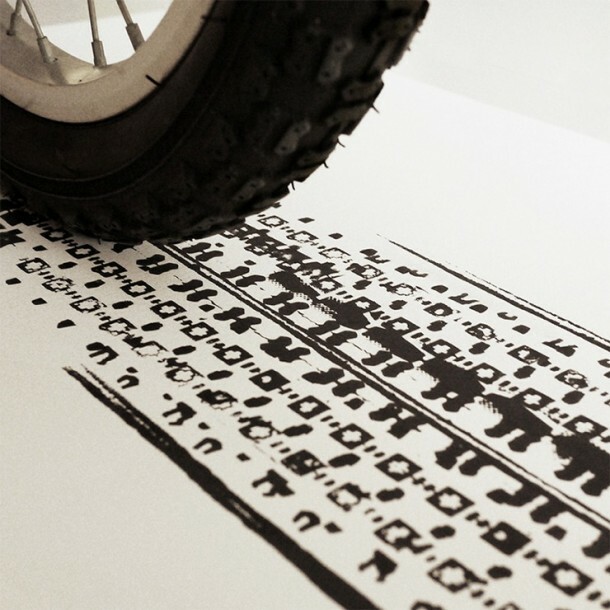 Meet Thomas Yang who is an artist based in Singapore. 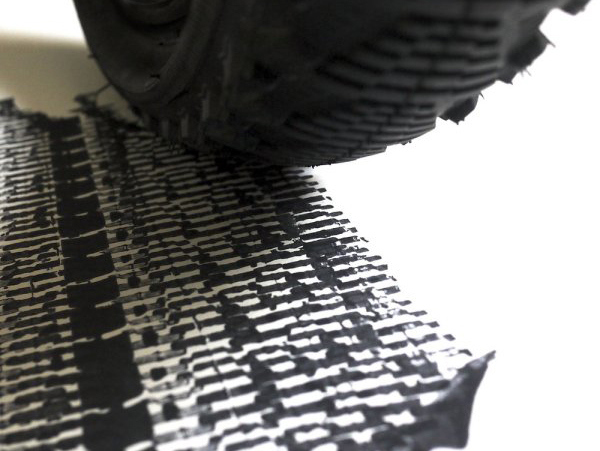 This guy has a passion for art and cycling and has created ‘Bike Print Illustrations’ of famous landmarks from all over the world by using bicycle tire tracks. 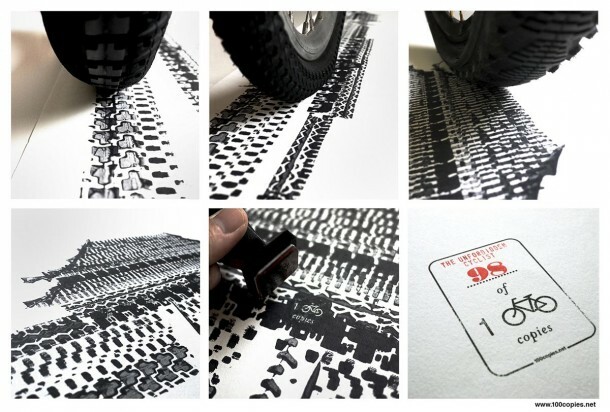 The series has been given the name ‘100 Copies’ since it has been limited to 100 prints per piece. 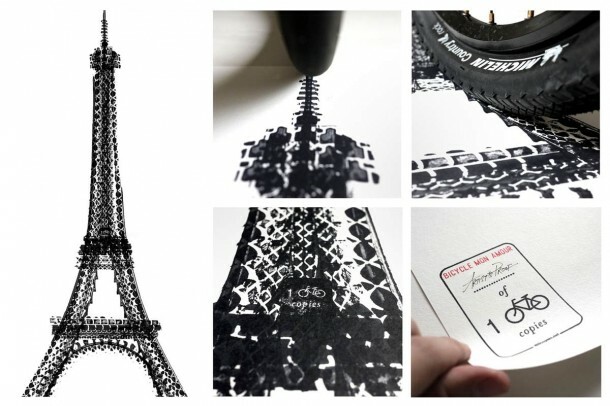 The series includes amazing illustrations of world’s most famous landmarks, architecture-wise, and makes use of bike tires only that were coated with black pigment to create these illustrations. 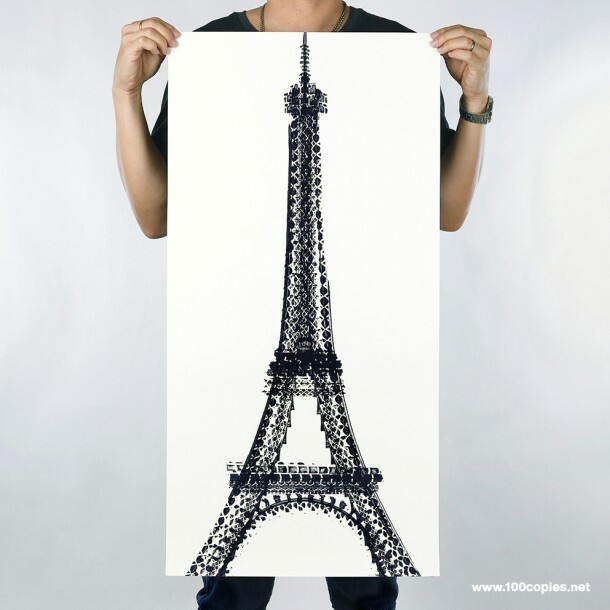 The illustrations have the London Bridge, Eiffel Tower and the Empire State Building. 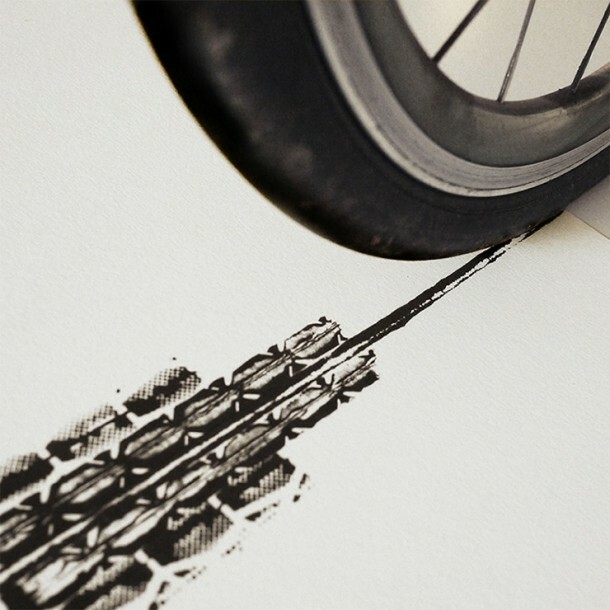 The pieces come with a witty name, an edition number and a bike-themed description. You can check out 100copies.net for the complete work of Thomas. Buyers of the paintings have been stated along with name and the nationality. This way people are told that similar to the tracks of tire the paintings have also made their way all across the world. Pretty cool, isn’t it?